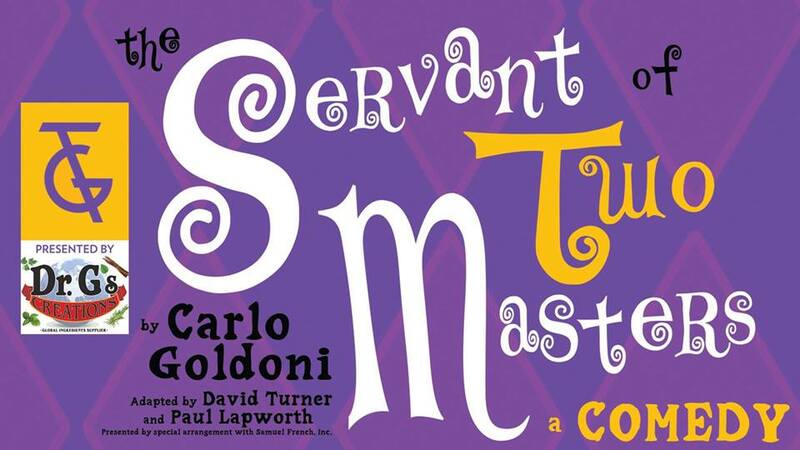 Servant of Two Masters is a wild and silly farce of mistaken identities, long lost lovers, angry fathers, cross dressing badasses, and one very hungry servant. Combining both a classical understanding of the roots of commedia, but with a modern sense of humor, this production has one goal: make with the funny. Goldoni wrote the play in 1746 but revised it in 1753. Though the characters from the play are derived from stock characters used in commedia dell’arte, they follow a script. The character Truffaldino (played here by Patrick Najjar) is always hungry and when he is presented with the idea that he could be servant to another master, he envisions more food. Confusion ensues with a famous scene where Truffaldino attempts to serve both masters while feeding himself.